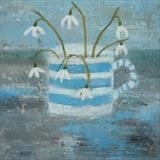 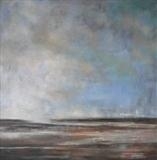 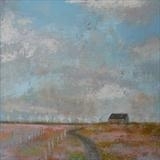 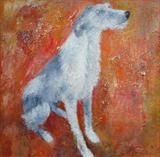 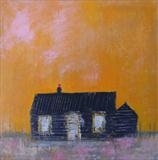 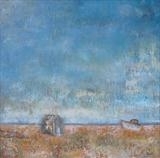 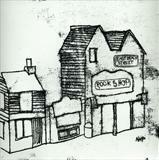 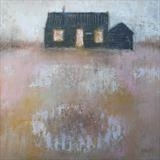 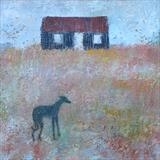 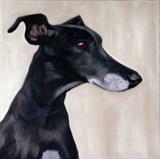 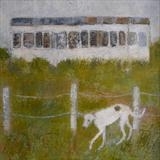 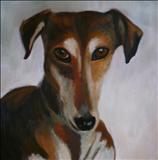 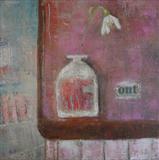 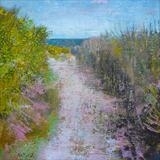 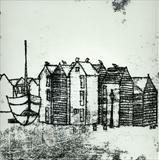 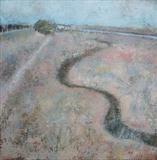 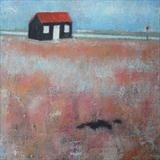 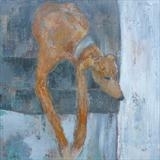 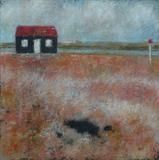 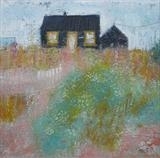 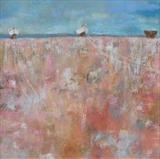 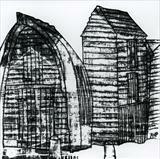 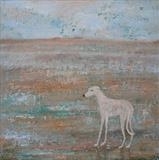 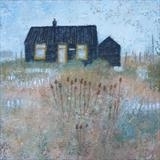 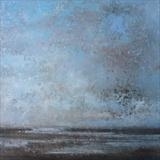 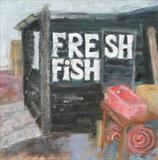 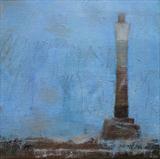 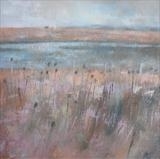 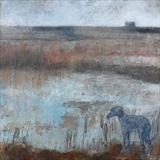 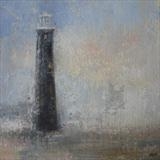 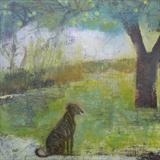 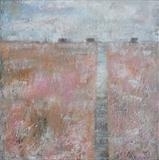 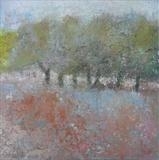 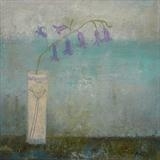 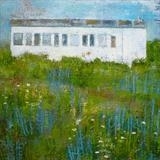 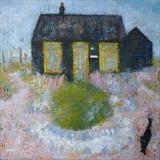 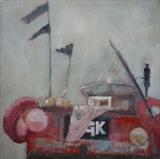 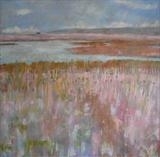 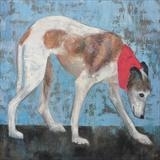 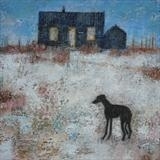 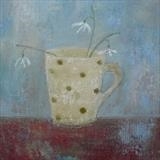 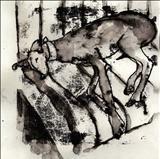 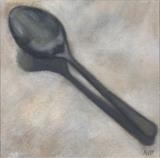 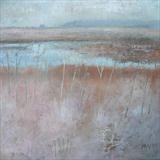 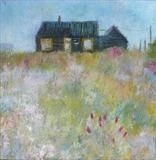 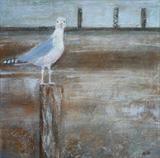 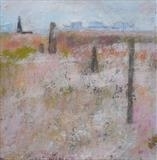 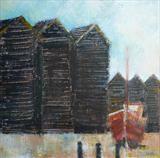 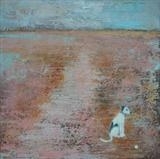 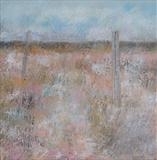 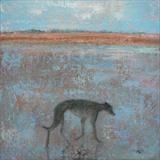 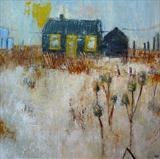 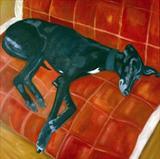 Sold by Avocet Gallery, Rye Harbour. In 2010 we stayed in a secluded beach bungalow that with a hop over a high shingle ridge led directly onto the broad expanse of sand at Winchelsea Beach. 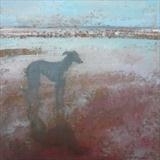 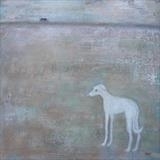 We visited in early spring and walked the hounds on the shingle and sand beach at dawn. 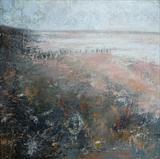 Most of the beaches in Sussex are pebble, so it is a joy to have found a sandy oasis.